darkSpyro - Spyro and Skylanders Forum - Skylanders Toys and Merchandise - Skylanders Academy Spyro First 4 Figures Poll! 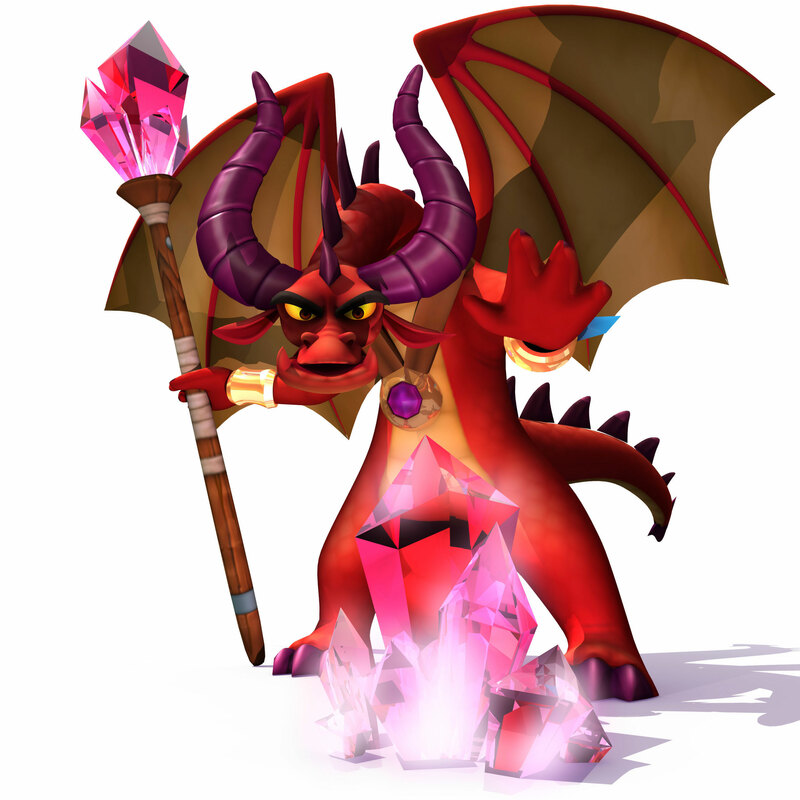 darkSpyro - Spyro and Skylanders Forum > Skylanders Toys and Merchandise > Skylanders Academy Spyro First 4 Figures Poll! Skylanders Academy Spyro First 4 Figures Poll! The voting for a possible Skylanders Academy high quality figure from F4F is now live! To vote, just enter the brand's group via request. (because of certain people) Only yes votes count, so don't be discouraged, they want to see how many people are interested. For those out of the loop, F4F recently released Crash and Spyro figures - Spyro being a huuuge expensive figure. Aside from votes for Classic and LoS characters, this poll is for a possible resign figure of Skyro in his Academy iteration, who has yet to get a figure. I honestly can't help but laugh at the amount of noes. I don't have Facebook so can't vote. Have fun risking your life there and voting. Yeah, looks like we might not get one after all looking at those votes. But I hope it does win. If it does and it's not an insane price, I might buy it. Nos don't matter. Only breaking the 450 yes votes does. After the LoS Spyro poll they're used to unreasonable backlash. Oh, got it. Hope they do it, because if so I might just buy it! who the heck voted no for this, dont they like spyro. if so why do they watch a show about skylabders then??? They don't; this group is about the figure brand. They still "don't care" enough to vote no and harass anyone who likes the idea. We're past 150 votes I believe, we can do it! I just voted yes. Even if I don't plan to buy a Skyro statue, I think that every incarnation of Spyro should get one so that every side of the fandom is happy. I was actually too scared to go on to the group at first in case there were a lot of cringeworthy comments such as "SkYlAnDeRs Is CaNcEr!" or "SpYrO lOoKs AuTiStIc!" If they make it, I'd certainly want it, but I'd have to see the price first. I put in my vote. Too bad it can't have a chip in it to work as an actual Skylanders figure, though. Don't forget to vote if you have an FB account, fellow fans! Iirc we're almost past the halfway point. Bump because WE'RE PAST THE HALFWAY POINT! If you want a swingin' new figure along with your Season 2 premiere, the time is NOW to vote! Not to be pessimistic but with the Yes taking a long time to reach the 450 mark and with the big numbers of No, I'm afraid they will decide to interpret the No as a message to focus their resources on creating a figure for a different character instead. They already said they won't count the Nos. LoS Spyro and Cynder are being worked on despite having over 1k Nos. 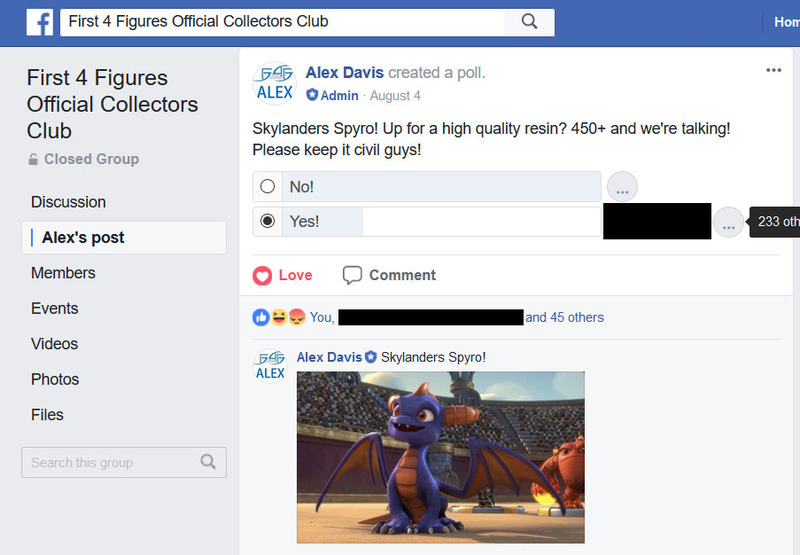 Alex got the memo pretty quick that the Classic fans brigade the polls like crazy, and they don't really have an issue with doing these figures unless Acti is the one turning it down(and unfortunately I think they didn't allow Ripto). If they do eventually do it then I will definitely try to buy it...If the price is within reason, of course. I'm going to go with a no on this. There are enough Spyro already. And from Academy, because Acti is stingy with merch of that. Eon instead WOULD be nice, but if we're taking so long with the main character, we can't expect support for anyone else. 285 votes bump! Only 175 votes left, everyone! As usual, only the yes votes matter.